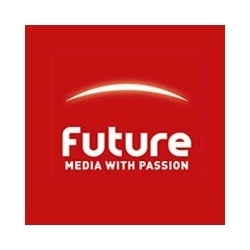 Magazine publisher Future PLC expects its financial results for the current fiscal year to meet expectations, but says that gaming magazines will continue to suffer from a "very tough market." The oft-reported death of the videogame magazine has been dragging on for years and while the print medium has shown remarkable resilience in the face of doom-and-gloom predictions, the simple fact is that the immediacy, price and, increasingly, convenience of the internet is inexorably nailing that coffin lid shut. Personally, I love magazines and do my best to keep a well-stocked "reading room," but it's been almost six years since the last time I bought a gaming mag. It doesn't appear that things are going to get better anytime soon. In a trading statement posted earlier today, Future PLC, which publishes a number of gaming magazines including Edge, Official Xbox Magazine, PC Gamer and Nintendo Power, indicated that while its overall financial results should be reasonably solid, it expects the gaming segment to continue to suffer. "Trading has continued to be challenging, but the Board expects the Group's results for the year to 30 September 2010 to be in line with its expectations, as set out in the Interim Management Statement of 10 February 2010," the statement said. "First half EBITA is expected to be lower than H1 2009 primarily as a result of less favorable currency impacts." "Across the Group's portfolio, Future's special-interest titles within the Active, Technology and Music & Movies segments continue to show resilience, while Games, which comprises 30 percent of group revenue, continues to experience a very tough market and difficult comparatives," the statement continued. "Advertising in the US, which has more exposure to the games market, remains under pressure." Is print dead? Our very own Editor-in-Chief Russ Pitts hosted a panel discussing just that question at the recent PAX East in which at least some of the participants expressed the opinion that, despite the challenges, conventional gaming magazines still have a place in the world. I certainly hope so; digital is fantastic, but there's something about idly flipping pages that a glowing screen just can't match.